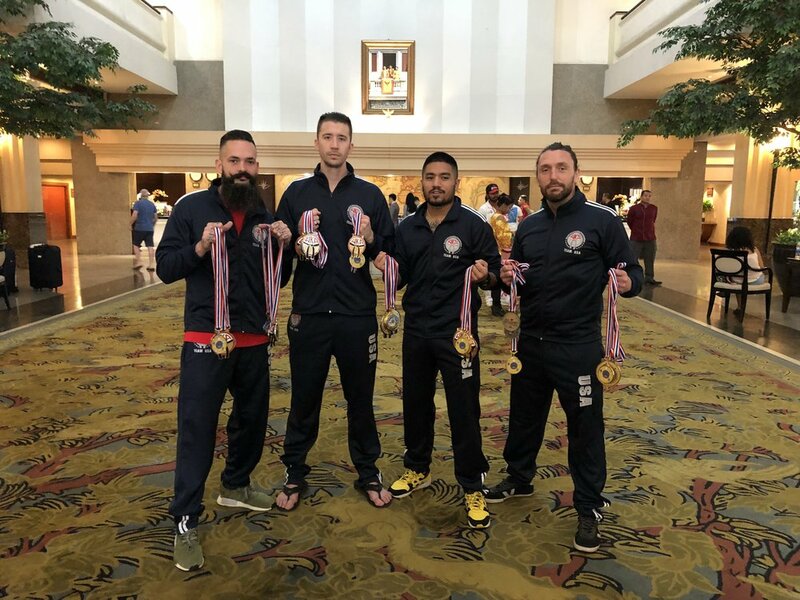 Team USA led by head coaches Chris Clodfelter and Jose Aguirre dominates in The International and Thai Martial Arts Games and WKA World Championships in Bangkok Thailand. 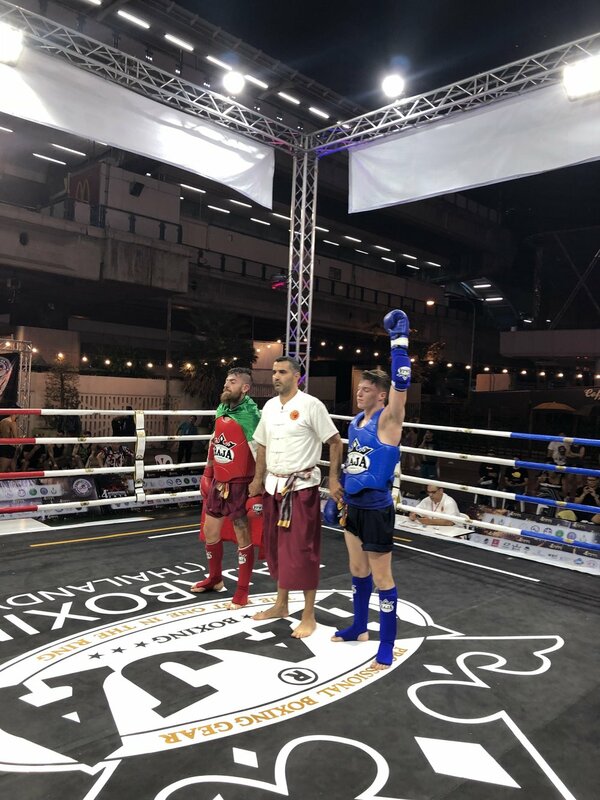 Eight Points Warriors John and Seth Seagle fought this past week in the 4th annual International & Thai Martial Art Games in Bangkok Thailand as a part of team USA and they killed it! Both Fighters repested the USA well and fought with amazing technique and composure. They showed true Muay Thai. Seth beat Kazakhstan in the first round then faced Australia in the finals. After a beautiful Muay Thai display by both fighters, Seth won the decision, best Australia, and won the Gold medal! 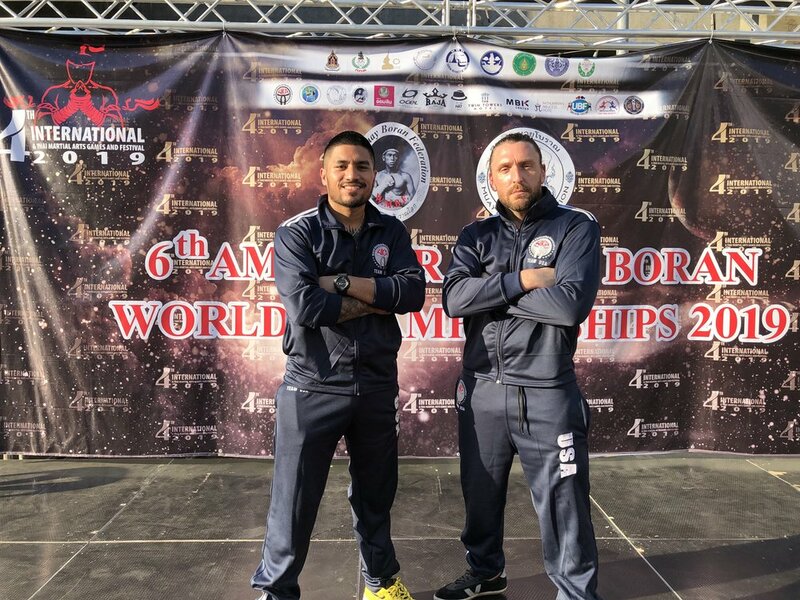 It was the USAs first Gold medal in the sport of muay boran ! super proud coach and thanking God for the opportunity to chase our dreams! Head Instructor Kru Chris Clodfelter was named head coach of the WKA USA Team along with Kru Jose Aguirre. Team USA competes March 8-17 in International Thai Games in Bangkok Thailand. Eight Points Fighters John and Seth Seagle earned spots on the USA team and will be traveling to the land of smiles to win gold. Eight Points professional fighter Mike Stevens improved his record over the weekend to 11-3 with a BIG 3rd round KO via Elbows at Lighting Strikes 8 in Durham NC! We fought an incredibly tough opponent who kept coming hard but we stuck to the game plan and came out on top. 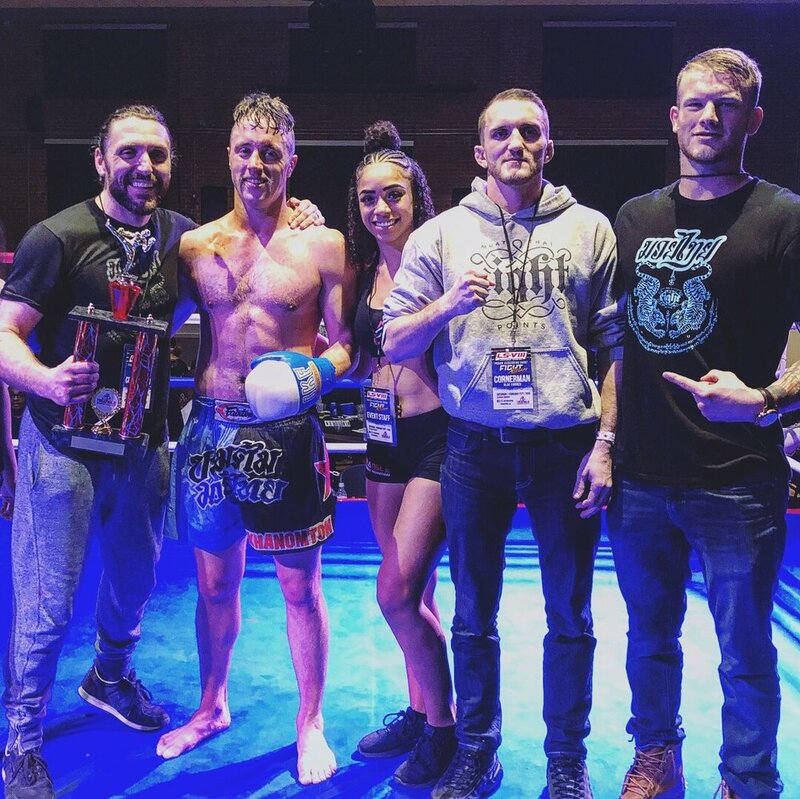 Eight Points Muay Thai’s Dylan Mason put on a Muay Thai clinic and dominated his fight using leg kicks , big head kicks and punches in route to a unanimous decision Win at Fight For It MMA this past weekend in Hickory NC. Team Eight Points did work this past weekend at the 2018 IKF East Coast Classic. We put in a ton of good rounds with tough competition and brought home a brand new IKF East Coast Championship Title back to the gym!! Thanking God for letting us compete in the sport we love. BIG CONGRATS to Eight Points Muay Thai Fighters John, Seth, and Gillian who received an invitation to compete for Team USA at the WKA Asian-Pacific Games in Bangkok Thailand March 8 2019. Thankful to the Lord for this amazing opportunity! Hard Work Pays off! Eight Points Muay Thai’s Kaleb Hunter (27-4, 1-0 pro) made his long awaited pro debut in July for Lighting Strikes 5. Kaleb used a dominate clinch game to beat a very tough Diego Costa (29-4) and start his climb up the professional ranks! Thanking God for the victory and the chance to do what we love! Eight Points Muay Thai did WORK this weekend at the 2018 WKA Nationals picking up some big wins and bringing home 2 brand new national titles. A big congrats to John a d Seth Seagle for earning spots on the US Team to represent America in Thailand 👊🏼. Thanking God for the victories and opportunities to compete. Proud coach.